NASHVILLE, TN — With a strong family legacy of educators and Alumni that hail from Tennessee State University (TSU), it comes as no surprise to see Dr. Jewell Winn solidly established as a change maker at her beloved alma mater. She embarks on a new journey as she celebrates 37 years at the university with no signs of slowing down anytime soon. Dr. Winn embodies the essence of community from the type of degrees she chose to her children receiving graduate degrees from TSU and her passionate interest in the betterment of women on campus. A prime example was her involvement in helping establish the women’s center on campus. Years ago, after reviewing women’s centers on the campuses of other Black colleges, the TSU Women’s Center was founded with a great deal of support. With the assistance of Dr. Jewell Winn and several other great women, TSU became the first Black public college to create a center focusing on empowering all women. The center provides mentoring, support, resources and a host of programming in addition to producing the Annual Women of Legend and Merit Awards Dinner. Although becoming an author was not on the immediate horizon, the changes in today’s society and the disparities and burdens that Black women face brought about a natural progression for her to share lived experiences in a book. “Truth Be Told: Narratives from The Souls of Black Women,” is a compilation of stories from over 22 women sharing their experiences and stories on how it feels to be a Black woman. “As Black women, we don’t have many opportunities to have our voices heard,” said Dr. Winn when referencing how the book came to fruition. The book brings joy, pain, tears, laughter and the raw truth about what it means to be a Black woman. With the foreword written by Jasmine Sanders from the nationally syndicated D.L Hugley show, this book is a “must have” and is selling well on social media, grassroots networks and OneLGroup publishing company. Dr. Winn received both her master’s and doctoral degree from TSU. She shared that her work volunteering on numerous committees and boards throughout the city opened her eyes to disparities that continue to negatively impact the whole family. 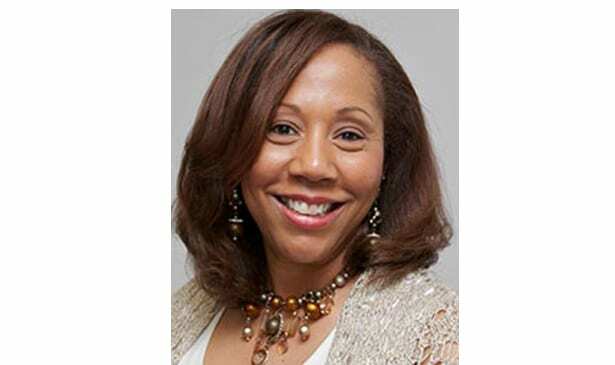 This led her to explore opportunities in the non-profit sector because she realized that the community needed more volunteer participation and financial contributions from African Americans for African Americans. In 2015 she created a youth development program with Dr. Walter Milton and his wife Lisa Petros called “From the Heart International Education Foundation.” This is a 501(c)3 organization that provides academic, music, and sports enrichment before school, after school and during the summer through all-day camps. As a tireless advocate to help youth, From the Heart Education Foundation provides numerous opportunities for school aged children to develop the intangible traits to be successful in any endeavor they dream of. Dr. Winn has again surpassed her own expectations as the children enrolled in the Music program of the Foundation will present their inaugural Winter Gala and Showcase during the Christmas holidays in the form of a musical extravaganza. She expressed, “we are always in need of support and would love to have the community sponsor or buy tickets to our event that will take place on December 27, 2018.” This is an opportunity for these future leaders to wear their best attire and perform popular songs learned throughout the semester. The Foundation will also award the inaugural John L. Green Music Educator of the Year in honor of Dr. Winn’s father—a Nashville legendary musician and retired MNPS band director.